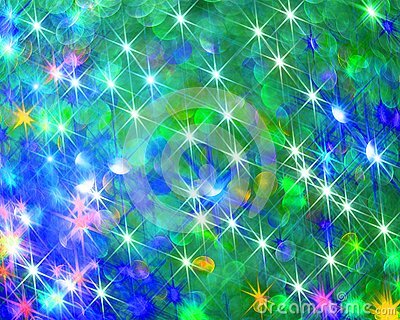 The background of shining colorful stars, the dots are blue for the text. Colorful star pattern, vector illustration. Night background, Moon, Clouds and shining Stars on dark blue sky. Vector Night Sky, Cartoon Illustration, Background, Bright Yellow Moon, Stars and White Clouds Shining on Blue. Dark silhouettes of tall firs against the background of the northern lights and snow-capped mountains. Shining stars vector garland. Christmas decorations lights effects. vector design elements.